The Guarani continue fighting for their land rights despite continuous attacks. Ten years ago the Brazilian government signed a landmark agreement with the Guarani tribe, which obliged it to identify all their ancestral lands. The core objective of the agreement, which was drawn up by the public prosecutors office, was to speed up the recognition of the Guarani’s land rights in the southern state of Mato Grosso do Sul. However, one decade on, most surveys have not even been carried out and the authorities’ failure to recognize the Guarani’s land rights continues to have a terrible impact on the tribe’s health and well-being. Other Guarani communities live along busy highways or on fragments of their ancestral land, hemmed in by vast sugar cane and soya plantations. They cannot plant, fish or hunt and have no access to clean water. 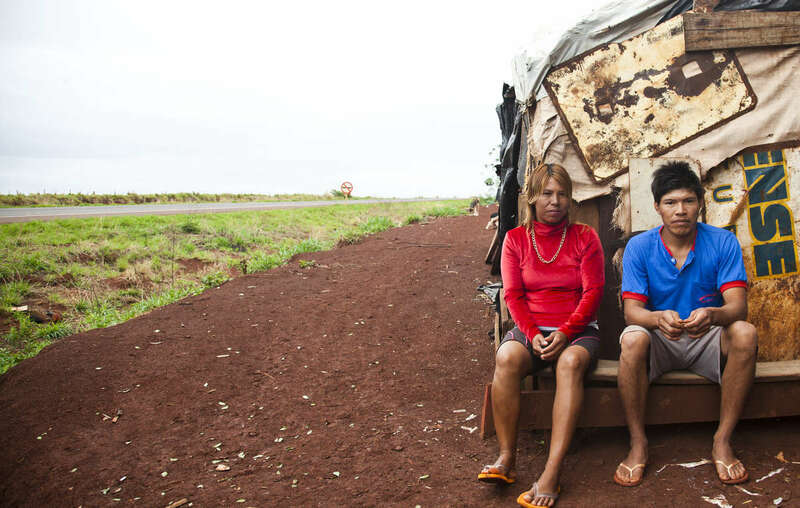 A Guarani-Kaiowa couple sit outside their makeshift roadside settlement of the Apy Ka&apos;y community, near Dourados, Mato Grosso do Sul, Brazil. Health workers report that these communities are suffering from severe side effects of pesticides used by agribusiness. Some communities say their water resources and houses are deliberately sprayed by the ranchers. A recent study estimated that 3% of the indigenous population in the state could be poisoned by pesticides, some of which are banned in the EU. 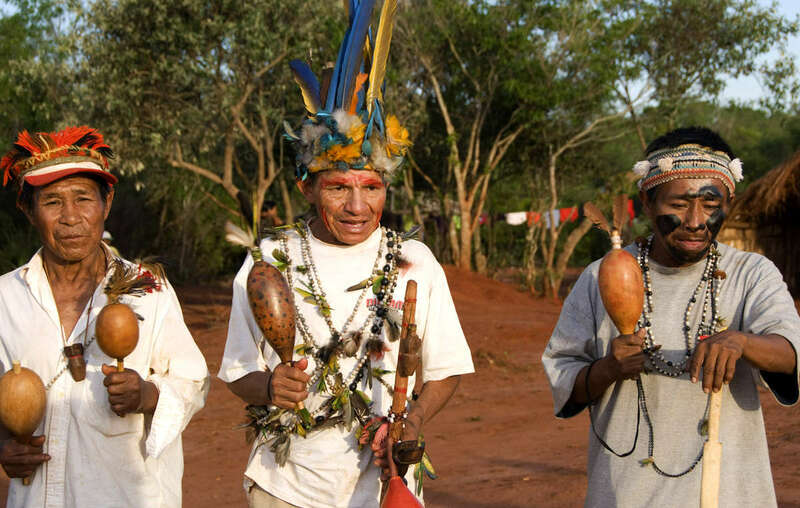 Mato Grosso do Sul is home to the second largest indigenous population in Brazil, with 70,000 Indians belonging to seven tribes. Much of their ancestral land has been stolen from them by cattle ranchers and agribusiness, and now they occupy a mere 0.2 % of the state. The despair among the Guarani at the loss of their lands and self sufficient life is reflected in extremely high rates of suicide . In the period 2000-2015 there were 752 suicides. Statistics collected since 1996 reveal a rate that is 21 times greater than the national one. This is probably under-estimated as many suicides are not reported. Damiana Cavanha, leader of the Apy Ka&apos;y community, has seen the deaths of three of her children and her husband. She is determinedly planning a reoccupation of their ancestral land where they are buried. The Guarani also face high levels of violence and are constantly targeted by ranchers’ gunmen whenever they attempt to take back parts of their ancestral land. Recent data shows that 60% of all the assassinations of indigenous people in Brazil occurred in Mato Grosso do Sul state. With a government and congress dominated by the powerful agribusiness sector, the landowners in Mato Grosso do Sul will not cede an inch. Many have resorted to the courts as a delaying tactic, to challenge the identification of Guarani territories. 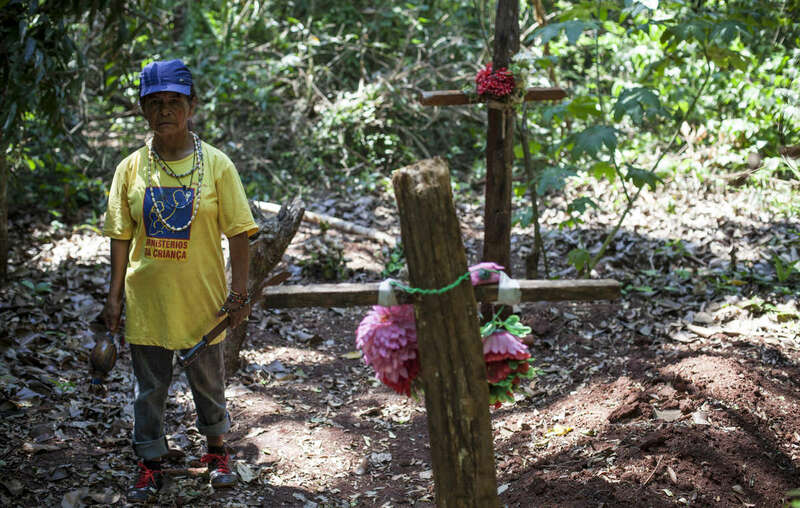 One core Guarani territory has had 57 legal challenges. 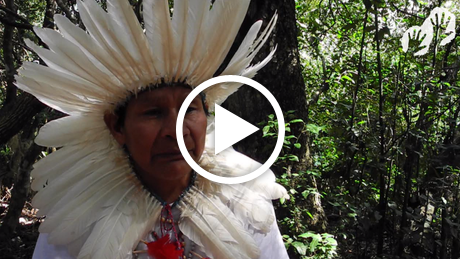 Despite this bleak scenario many Guarani vow to fight on: “Brazil was always our land. The hope that feeds me is that our land will be recognized, for without it we cannot care for nature and feed ourselves. 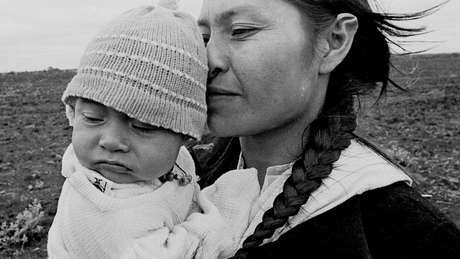 We shall fight and die for it” says Geniana Barbosa, a young Guarani woman.